Offical Apple/Universal ad from the back page of "Record Collector", May edition. To mark the 50th anniversary of the release of "Sgt. 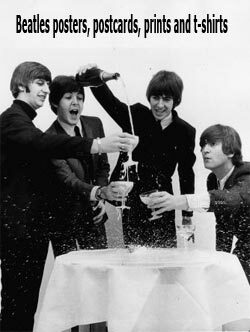 Pepper’s Lonely Hearts Club Band" by The Beatles on 1 June 1967, the BBC will celebrate with programmes across radio and TV. The range of programmes will explore the stories around the recording, release and subsequent life of this seminal album. Howard Goodall says: "Whatever music you like to listen to, if it was written after 1 June 1967 then more likely than not it will have been influenced, one way or another, by 'Sgt. Pepper’s Lonely Hearts Club Band.' 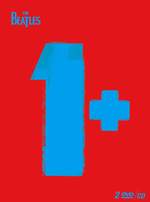 The record’s sheer ambition in its conception, composition, arrangements and ground-breaking recording techniques sets it apart from others of the time. It’s a landmark in 20th century music, and I’ve hugely enjoyed exploring the story behind the music." Producer Martin R. Smith says: "This will be Sgt. Pepper as you’ve never heard it before. We’ve been granted unprecedented access to The Beatles’ own archive, photographs and multi-track studio tapes so we’ll be able to give an insider’s view into the making of this landmark album and, through Howard Goodall's insight, just why it was so revolutionary." Jan Younghusband, Head of Music TV Commissioning, says: "So delighted to have Howard Goodall back on BBC Two with his brilliant insights into this outstanding album and how it all came about, and to celebrate this special moment in our music history." Using visually-striking set dressing, projections and props the film will be conjuring up the multi-coloured, phantasmagorical world of Sgt. Pepper. Following on chronologically from the 2016 documentary "Eight Days A Week - The Touring Years", Sgt Pepper’s Musical Revolution will show what happened when the studio took over from the stage and the screams. To help assess the phenomenon of Sgt. Pepper the programme will find out out why the album came to be made. It will rediscover The Beatles at a pivotal moment in their career - both as a band and as four individuals, each with his own musical tastes, and ambitions. Having given up touring, they poured their energies into the studio: Sgt. Pepper, as Paul McCartney remarked, would be the performance. BBC Radio will also commemorate the anniversary across Radio 2, Radio 4 Extra and 6 Music. BBC Radio 2 will present two documentary series - Sgt. Pepper Forever and Paul Merton On The Beatles. Over two programmes, broadcast on 24 May and 31 May, Martin Freeman presents Sgt. Pepper Forever, which will reveal the revolutionary studio techniques used during the remarkable sessions dating from November 1966 to April 1967 and also examine the album’s huge impact on the history of music. They will feature ‘work-in-progress' versions of Sgt. Pepper tracks - and the songs on the double A-side single "Strawberry Fields Forever"/"Penny Lane", which were also recorded during the sessions - to illustrate the pioneering techniques used by The Beatles and George Martin. 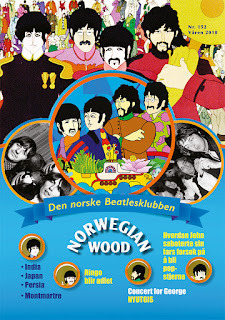 This two-part documentary special, written and produced by Kevin Howlett of Howlett Media Productions, features interviews with Paul, George, Ringo and George Martin, and in a new interview composer Howard Goodall talks about, and illustrates on piano, the musical innovations of the album’s songs. 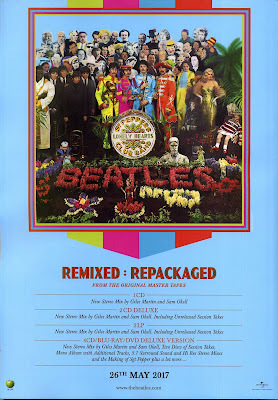 Having worked with the original four-track tapes to create a new stereo mix of Sgt. Pepper for its 50th anniversary, producer Giles Martin (son of Sir George Martin) describes the innovative recording techniques used at the time and how he approached making his new version. 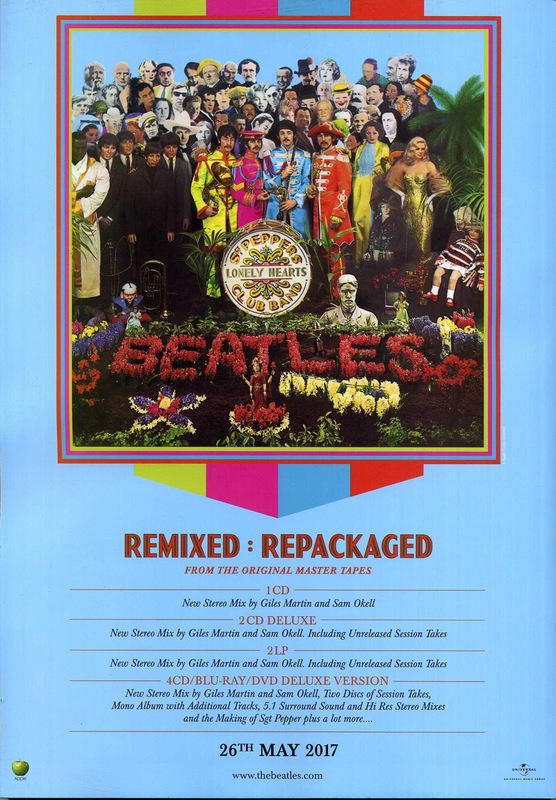 There will also be interview material with the album cover’s co-designer Peter Blake, Beatles press officer Derek Taylor, Tony King (George Martin’s assistant in 1967), Mike Leander (the arranger of She’s Leaving Home), poet Adrian Mitchell, DJ John Peel and some of the producers and musicians who were influenced by the achievements of the album, including T Bone Burnett, Dave Grohl, Tom Petty, Jimmy Webb and Brian Wilson of The Beach Boys. Martin Freeman says: "Sgt. Pepper is the most celebrated album by my favourite band. These documentaries will shed light on how The Beatles, with George Martin, created a piece of work that marked a watershed for what a long playing record could be. It’s my absolute pleasure to help tell you about it." Paul Merton on The Beatles is a four-part series, produced by Radio 2’s Mark Hagen, which airs weekly from Monday 29 May. 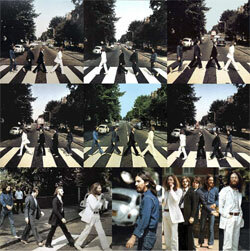 The four programmes allow Paul to take a quirkily individual look at The Beatles’ career and legacy. In his world, The Beatles didn’t break up at the end of the 60s but instead went on creating albums and returning to the concert stage - and these four programmes all attempt to answer the 'what if' question. In the opening show, remembering the covers that the band performed on their early albums, Paul looks at the way this trend continued in their individual solo careers, with John, Paul George and Ringo playing songs originally recorded by the Everly Brothers, Buddy Holly, Carl Perkins and more. The second and third programmes imagine the band’s return to live performance with two idealised concerts including songs like Lucy In The Sky With Diamonds, What Goes On, Let It Be and Here Comes The Sun. And in a special final show Paul Merton attempts to answer that most beloved Beatle fanatic question: what album would the band have made after Let It Be and Abbey Road if they hadn’t broken up? Paul Merton says: "I’ve had great fun selecting tracks from John, Paul, George and Ringo’s solo careers to firstly create a magical live ‘Beatles’ concert, and secondly a new ‘Beatles’ double album. I am immensely looking forward to sharing my choices with the Radio 2 listeners." BBC Radio 4 Extra will delve deep in to the iconic album artwork to bring listeners a special day of programmes from 9am-10pm, inspired by the famous faces that are featured on the Sgt. Pepper’s Lonely Hearts Club Band album cover. On Saturday 3 June, Samira Ahmed will introduce a diverse 13 hour mix of documentaries, dramas and comedies that all focus on this celebrated crowd, from Marlene Dietrich to Albert Einstein, Marlon Brando to Oscar Wilde. Programmes will include Alan Bennett reading Lewis Carroll’s Alice In Wonderland, Joan Bakewell interviewing Jonny Weissmuller for Start The Week in 1975, a drama about the classic comedy duo Laurel & Hardy starring John Sessions and Robbie Coltrane, and a look at the life of William Burroughs from the musician Laurie Anderson. In between, brand new interviews will reveal more about the members of this Lonely Hearts Club Band, discover why these people were chosen for the cover, and explore what it was like to be there on the actual day this art work was created. Produced by Luke Doran for the BBC, across one day let BBC Radio 4 Extra bring the Sgt. Pepper’s Lonely Hearts Club Band to life in this unique and imaginative celebration. On BBC Radio 6 Music, Mark Radcliffe and Stuart Maconie will be broadcasting their show on Thursday 15 June (1pm-4pm) from Liverpool, celebrating the music of the city from Sgt. Pepper to the present day. Howard Goodall? Didn't he do the Blackadder theme tune?